The pain was incredible, but so was Amy's will to win. Everywhere she went she felt the eyes on her. It wasn’t because of her beauty. They looked at her right leg which carried an extra 35 pounds. One man even asked her in a mall if he could catch the disease she was carrying. That was the life of Amy Rivera. She was born with Lymphedema. It’s a disease that affects almost 10 million Americans and nearly 100 million people worldwide. 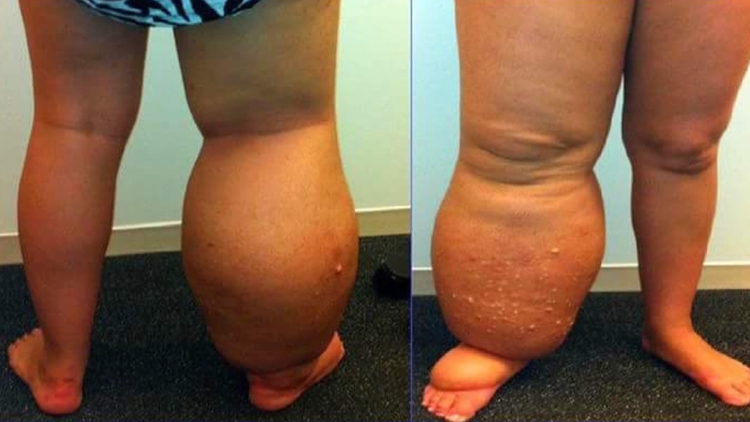 According to the Mayo Clinic, Lymphedema involves swelling in the limbs. There is no cure for the disease, but it can be managed. Amy decided to she didn't want the disease to control her life. Instead, she wanted to be a spokeswoman, and she wanted to defeat it. The pain was incredible, but so was her will to win. The surgery was a success. And as you will see from the video in the player above, Tom Stasiak and reporter Frank Cusumano, Amy Rivera has won her battle.